What are the business benefits to a security master key system? For organisational purposes, for practicality and for increased security you may be looking into a lock renewal with a master key. With it you’ll have a multi tiered way to distribute access without complicated systems. As an example, this would be highly beneficial to you as an employer. 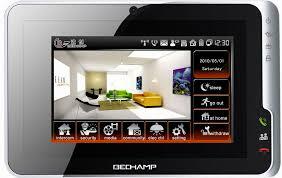 Multi access systems are available for homes as well if it’s something you would like to implement there. But to a business, there is clearly many benefits with a security key master system. It gives you security, control and of course if you are the master (in some cases grand master) key holder full access to all areas included in the system. Many buildings and businesses today can also opt for re-keying only making it affordable as well as efficient. Speak to your local Brighton locksmith about your options to re-key for a master system. This way there is no need for new locks on each door, but instead only keys fitting the purpose are made. This option is never recommended if there are lost keys to the current locks. Providing your staff with the right access is also a time saver. No organisational time is wasted in handing out temporary keys, or keeping special keys in place and organised. From the workers perspective productivity is not halted by the need to open a door. For anyone running a business there are many benefits to having a system such as this put into place. The cost is affordable, surprisingly low even, and well worth the investment. You can ask us your questions at any time, find the number at the top of the home page or on our contact page. Our emergency locksmiths are able to cut many types of key on site, even electronic ones. The Locksmith vans have the facilities and equipment to reprogram electronic keys too. We use reliable modern equipment to cut a variety of keys such as window keys, safe keys, Yale keys, transponder keys and many other types besides. Locksmiths Brighton can also add a novelty aspect to your keys, with our central store printing them in a range of colours and patterns to make the most important keys the most distinctive on your keyring. You will thank yourself for making the decision to get a patterned key and avoiding fumbling through a large bunch of seemingly identical keys when it is cold and the rain is pouring down. The key cutting service offered is first class, producing robust keys that won’t twist or fracture; they will operate reassuringly smoothly for years to come. 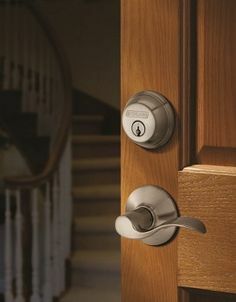 If you are in a position thinking about security for your own private situation, or if you are currently looking at how you can improve the security at work for yourself, your investment and your belongings, why not get in touch with a trusted locksmith service who has helped countless number of customers make their day to day as safe and secure as can be. This is not only from the products installed but also by showing how you can best utilise the strengths in your current situation as well as showing you how you can best put good routine and practices in play as to minimise risk for you and your premises. 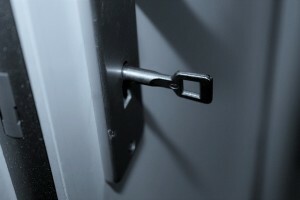 If you give your locksmiths service a call and book in for a security survey, you will not only get the benefit of a complete inspection of your indoor and outdoor areas, but enjoy the benefit of expert advice on what type of security solution would be best suited for you and your family or your staff. All our security solutions are made for the specific property we are surveying, and as we know that each situation is different, we also understand that each security solution also must be. So come to your locksmiths service to find the assistance you need from someone who is understanding of your needs as well as how your day normally looks. Everything from central locking solutions, to burglar alarms and security solutions can be found here, and that at a competitive price, provided by a dedicated and highly trained guys. So don’t leave the security of your home in the hands of chance, get in touch with a locksmiths service who knows security today. 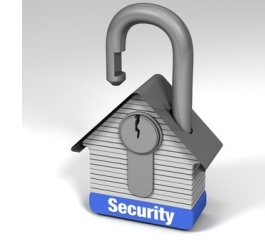 Many of our customers understand the importance of securing their domestic property. After all, that is the place we use to rest, relax, entertain guests and keep our items of worth and sentimental value protected. With years of experience, all our locksmiths have been trained to the highest level meaning they can tackle any common or complex problem you may have at your domestic property. Customers aren’t always aware that their local locksmith can tackle problems at both domestic and commercial properties. Your expert locksmith does not discriminate when it comes to the properties in Brighton and the surrounding areas that need protecting. Your safety and security is our job, whether it’s where you live or where you work. Our local businesses are the lifeblood of the city and local economy and it is only right that we take as much care of them as we would do our homes. If you have any questions about the security of your business, or if you need us for an urgent matter, you should not hesitate in calling the 24/7 locksmiths where you’ll always be greeted by one of our friendly lock technicians no matter what time of day or night you call – something which is especially reassuring if you’re calling late at night because someone has broken into your premises. Commercial properties provide a unique challenge because they are far more varied than the security found on domestic properties. We regularly get called out to install, replace and repair security systems for warehouses, high-street stores and office blocks. For warehouses and street stores, much of the security is very similar to domestic property locking mechanisms. We are able to assist with traditional security measures, ensuring they are compliant with regulatory guidelines, including security grilles and gates, shutter systems and even aluminium doors. If you have high-tech security locks on your main entrance, you can be sure that our highly-trained expert locksmiths will be able to tackle any such system you may have installed. With office blocks we are happy to help with any CCTV security system or high-tech alarming systems. Whether it’s an installation or repair, your first port of call should always be your trusted locksmith. With 24/7 service, you can be sure that we will always be available to protect your commercial premises. If it’s 2am and your property has been broken into, be sure to give us a call and we will be at your property within half an hour of your call. Your security, is our priority. To ensure that the security that you decide to get installed at home or at work is put in place in the best possible way, ensure that you get in touch with a trusted professional for the installation. Should you need tips, advice and guidance in your way to a good choice of course the highly skilled and trained boys and girls here are also at your disposal and happy to help. Call now to find out more about alarms, alarm systems and about security in general. A caring locksmiths expert will be at your service and on the case of giving your property the best security features available out there, and at an affordable price. To speak to the workers here, all you need to do is give us a call, and giving us a call is something you can do at any time that suits you. The lines are always open here for emergency purposes, but of course booking in for services and appointments can also be done at any time. Everything from sounding alarms to monitoring, remote notification and much more is available here, all you need to do is bring your specifications and preferences to the trained locksmiths group, and a lasting solution is on the doorstep. Key cutting, lock replacement, window locks and other daily service needs are filled quickly and professionally by the rapid work force, and with an all around service which covers also your emergency lockout needs you simply cannot go wrong in making the choice to go with this caring and friendly locksmith service. Call now to find out more about how you can make your every day a safer and more secure one by getting a home or business security alarm system in place as soon as possible. With the crew here soon is likely to be very soon, and remember, we always keep competitive prices to ensure you get the best deals out there, speak with us about what you are after now, pick up the phone and dial our number now to find your installation complete in a simple and fast way. We take pride in being the fastest and most competitively priced locksmiths in Brighton and the surrounding area, factors which add up to us being the best emergency locksmith service in the region. We guarantee that within an hour of making the call, a professional locksmith van will turn up with all the necessary equipment to gain entry to your premises. However, our Brighton workers are pleased to report that in over 80% of cases, customers are reached within just 30 minutes of making their call. That is the benefit of having a large fleet of vans operating out of central Brighton. 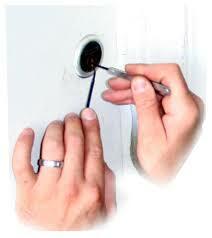 Upon arrival, the emergency locksmith will always attempt non-damaging methods of entry first, such as lock picking. 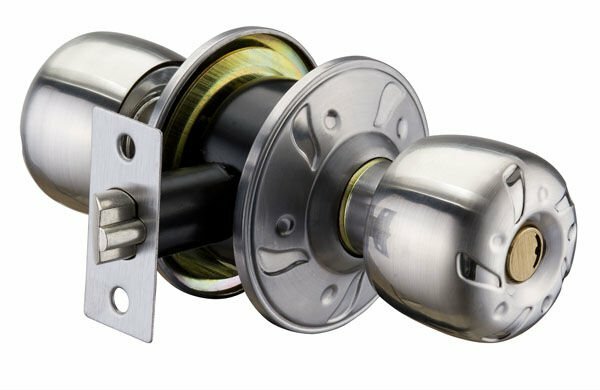 A point not often touched much upon when home security is brought up in conversation or general discussion, is exactly how important window locks are to keep the integrity of your security standards. For your locksmiths service, who is always looking to ensure that you are kept well informed to the things important in keeping great security at home, we see it as our responsibility to give you a reminder and make sure that you are aware of your window security. Logically of course the second point of unwarranted entry to any premises, after the door is the windows. Of course proper door locks is important and if you are in need of help ensuring that you have what you need there, please don’t hesitate to get in touch with your locksmith lock expert. We can provide the highest standard up to date, and secure locks from known and trusted brands as well as ensure that installation is made at a time suiting to you. There is never good reason to wait with something as vital for your home security as ensuring that your locks are up to date, and to get your window lock upgrade, feel free to get in touch with your locksmiths window lock expert today. And on top of that, window security is not something that will disturb the feeling of your home, modern strong locks are made in stylish shapes and form to ensure compatibility with your style at home. So if you have any concerns about style, there is no reason for panic. The locksmiths pros will be able to help you find the window locks which are right for your property, both from a security point of seeing things, as well as from your personal point of preference and usability. Experts always say that the first point of being secure at home is the locks that you have on your doors. And we find no difficulty in being in agreement with it. It makes sense regardless if you are an expert or not. However what you might want to contact an expert locksmith specialists to find advice on, is what locks to choose. Today there are a billion choices on the market, and it may be difficult to know what to choose. There are many low calibre locks which are easy to by-pass with little knowledge, and should you make the wrong choice. Gaining entry to your house may be a matter of minutes for someone who knows how. It’s recommended to speak with someone who knows, and someone who is up to date on the current market and keep themselves informed with regards to the current risks. For advice you can trust, which also comes with recommendation from our existing customers, get in touch with your local locksmiths service. You can find consultation with regards to your locks over the phone, or you can book in for a physical lock check, in which we can help you control all your entry point to your home, including your windows. With applicable knowledge to locks you will no doubt find what you need from a locksmith who is both dedicated to you, and cares greatly for your safety. Of course if you are in need of any of the many other services which are provided, get in touch immediately, for emergency help, to book and appointment or to find the advice you need. For a rounded and experienced locksmith service, don’t hesitate to get in touch with our crew today! Anything locks which you can imagine, you can find here. 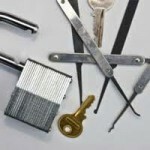 It doesn’t matter if you are in need of a repair job, or if you are in need of getting new locks to your new property. With a highly trained and professional practice you can rest assured that your new lock installation will be done in a swift manner, and the times of work can be organised to fit your busy day to day schedule. On top of that we can help advise and install locks for your windows, your garage and your outdoor structures. If there are any questions that you may have with regards to locks, please give a trusted locksmith service a ring, the staff here is always happy to help, and if you ever land in a lockout situation ours is the number to call. Another point which our locksmith crew often sees in the UK is that in many places where new door locks have been installed to insure the security of the building, window locks have been forgotten. So a friendly reminder from us to you, make sure that both your doors and your windows have the protection they need. Should you have any other security concerns or if you would like to book in for a security inspection, please don’t hesitate to get in touch. By letting a trained and experienced locksmith have a look at and around your property you will find the security risks that your property may be facing. There are few things as daunting in the everyday life of home owners today such as meeting with the security industry market today. This might happen should you be in the midst of arranging for a security upgrade. And is even more overwhelming if this is a first meeting. This friendly and understanding locksmith repair men and women, know just how difficult it can be prioritise and arrange the wide array of different products, brands and advice you are met with when investigating security products. The by far best action to take, and a well recommended one, is to ensure you speak to a knowledgeable expert in the field. There is little to beat the long years of training and the high rate of frequency with which we go on repeat training courses here, and if you wish to ensure the highest level of quality, security and service you area always welcome to get in touch with the workmen. With priority on your security, your locksmiths service will always keep the perspective close to home, and by calling you can book in for the work you need done when you want it done. Of course you can always expect nothing less than superb and swift service, immaculate installation work and long lasting repairs from a bunch who works hard and in the most dedicated way to satisfy you as the customer. Security, keys locks and everything in the vicinity is second nature to the workmen here, and by speaking with your locksmiths service today, you will not only avoid making regular beginner security mistakes for your home or business. Especially should it be the first time you look in to the matter, but you will also find a professional service without equal in the area, both when it comes to services and products. Keeping financial assets at work safe and secure in only surpassed by the need to keep your home and family safe and secure. This is why it’s a splendid idea to get in touch with your locksmiths service today. With an offer of security surveys for both your home and your business property, you will be able to rest well at night, knowing that your property has been checked by a professional. With training and eyes that have been in the industry of spotting security flaws for many years, you can leave your security situation in the hands of a security locksmiths expert who ensures that you are up to date and in line with the latest. A locksmiths service can help survey your home, or your business area as well as getting the installation products and work you are in need of, done swiftly and professionally. 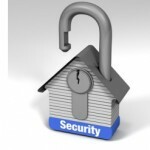 In the current day an age, home, just like small business security is something one cannot afford to overlook. Risks out there are on the rise, however with a locksmith service there is no reason for alarm, you can trust us to keep your home, your family and your business safe and secure though the changing scenario. Of course if you are in need of specific services of a day to day nature, or if you are moving home or business premises, you can of course also contact us with your concerns. Running with the current industry market, your locksmith is always up to date with the latest, and running a traditional service with customer focus as the highest priority, you can be sure to also find competitive prices and service guarantees which succeed any other provider. Call to book in for your security survey today with your locksmith service, or get in touch with your questions and concerns today. 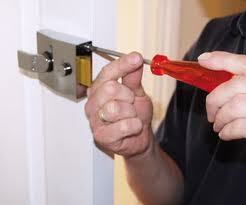 Any drilling or other forced entry will be repaired before a highly-trained and caring locksmith leaves the site. New deadlocks, rim locks, mortise locks, padlocks and other external locks are carried on the van for immediate fitting. Our emergency car locksmiths also carry equipment for repairing damaged ignition and central locking systems. If the task is to extract a broken key, we can cut and reprogram new keys on site. When it comes to the security of your home or business premises, having a thorough knowledge of potential security flaws is the first step to resolving them. We offer comprehensive security inspections and can quote on the same day for any recommended follow-up work. One of our experienced locksmiths staff will visit your premises for an hour or more, depending upon the size of the premises, and will assess and test all points of entry. Window locks and door locks will be checked as will the strength or door panels. Any outbuildings will equally be checked to ensure they are not vulnerable to potential intruders. Security inspections sometimes reveal that an entire security overhaul is required, with everything from window locks, padlocks and locking bars being installed, replaced or repaired. However, for many properties it is just the vital finishing touches that are required to make the property truly secure. Contact Locksmiths Brighton today and we can arrange a time to suit your schedule. Don’t delay; start securing your property today! If you are in current expansion of your business, perhaps it’s a good time to give some thought and resources to that of your security. There are many small start-ups and small businesses who currently stand facing great risk taking into account what they stand to lose should disaster strike. Getting in touch with your locksmith is easy, all you have to do is pick up the phone. Of course this is a move which we here would advise, as we keep your best interest in mind. 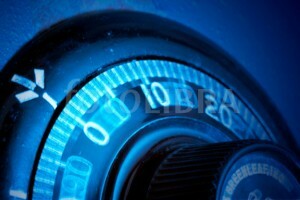 There is a large amount of work and dedication which goes into any business, and although security at times can seem a small point, in fact, ensuring that the great investments made, not only financially but also in the time and energy spent are protected, is of the highest level of importance. Your understanding locksmiths are on the same page on this, and of course finding a security solution which suits your situation and fits into your budget is something that we are able to accommodate for. Custom solutions is the speciality of this dedicated locksmiths service, and it’s though communication and preciseness that we find what is right for each person and each business, regardless of size and industry. Please don’t hesitate to get in touch if you have any questions, and of course if you are in need of any specific service the trained locksmiths is ready on standby to be of service. Should you be completely new to the idea of business security, it’s always good to have a meeting, seeing the space in need of protection and communication face to face is something which far exceeds any message service, and with traditional values your local locksmith is happy to arrange around your schedule for an initial security survey or lock check for you.